“Doctor Who” Season 10 is bound to be the end of a lot of things. It’ll be Peter Capaldi’s last stint as the Doctor, and, most importantly, the last with Steven Moffat as its showrunner. Moffat, who’s been at the helm of the British sci-fi since Season 5, is handing over his responsibilities to “Broadchurch” creator Chris Chibnall. Most likely, it’s the end of this version of “Doctor Who” as we know it. It’s also the best thing that could happen to the show. “Doctor Who” has always been inconsistent in terms of quality, which happens when you have a show that has been around for five decades. It ran for 26 seasons under various executive producers, from 1963 until its 1989 cancellation, then revived as a completely new show set within the old show’s continuity in 2005 under showrunner Russell T. Davies. Moffat took over as showrunner in the revival’s fifth season, and his run has been all over the place in terms of tone, story and character. There have been some good episodes with some great ideas sprinkled throughout, but this current incarnation has left fans with a lot to be desired. Not only has the Doctor himself been poorly characterized with little development over multiple seasons, but the supporting cast was mostly forgotten, leaving the Doctor’s usually female partners (called companions) with little personality or agency of their own. Starting with the Matt Smith and Moffat era, the companions took on a different form. While the ones that accompanied David Tennant’s 10th Doctor, for example, got to play around in storylines that had them looking for their worth and purpose outside of being the Doctor’s companion, the Moffat era ones were little more than objects. Amy Pond (Karen Gillan) had a mysterious crack in her wall that drew strange events to her. When writers didn’t know what to do with her character following that mystery getting solved (which involved a puzzling pregnancy), they introduced Clara Oswald (Jenna Coleman), who appeared and died in multiple places across time. Once their mysteries were solved and the writers couldn’t figure out where to go with their stories next, the show disposed them. Amy was forcibly taken from the Doctor and Oswald became wrapped up in an increasingly-complex continuity that had to be erased from the Doctor’s mind. The women on “Doctor Who” were little more than puzzle boxes for the Doctor to solve on his long, nearly eternal life. Oswald and Pond had few independent characteristics or storylines separate from the Doctor, unlike previous companions like Rose or Martha, who were tasked partially during their time alongside Tennant with coming into their own as people. Pond, after becoming pregnant, became defined by her pregnancy and relationship to motherhood. Oswald was able to flourish more after Smith regenerated into Capaldi. Smith’s 11th Doctor lacked compassion, which made it easy for him to selfishly choose his companions and to move on when they left. 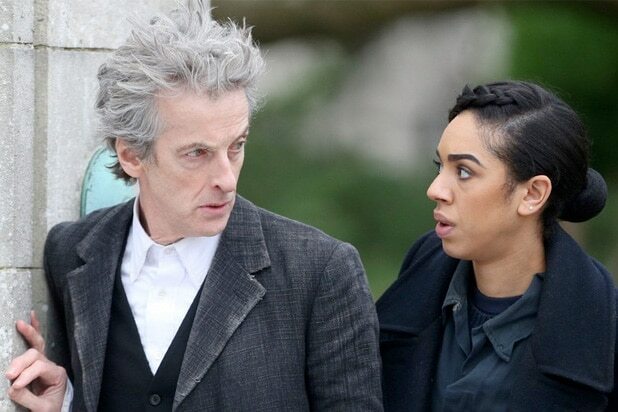 With Capaldi’s new, older, angrier 12th Doctor, Oswald became closer to an equal, separate from her past. However, 12 couldn’t find his place and personality, which left Oswald with nothing to do besides tag along and be supportive. It felt like the writers were struggling. When the Doctor doesn’t have a mystery to solve involving his companion, what does he have left? He moves on to other characters with enigmatic backstories. What does the companion have to do besides being a mystery? They get written out of the show. The Moffat seasons were peppered with great ideas and standout episodes. Having the Master — the Doctor’s longtime nemesis — regenerate into a woman named Missy gave everybody the opportunity to explore new dynamics between the characters. However, Moffat’s run has always been about ideas, not execution. Creating 11 as a childlike brat obsessed with adventure and mysteries is not a bad idea, but he changed little over three seasons, and despite being devastated by Pond’s forced departure into normal life, he moved on quickly to another mystery in Oswald. When he wasn’t focusing on the clues to figure her out, he didn’t care about her. There was attempt to give Oswald more of a life outside the Doctor’s adventures with 12, but in the end, she couldn’t escape a convoluted fate involving time streams. Chibnall has a lot on his plate going in to Season 11. He’ll have a new Doctor and a companion only one season old. He’ll have to decide whether to continue the Moffat era or create something of his own. The question is, can he do it? There’s a lot to fix about “Doctor Who.” The show is inconsistent even within its own continuity and is sometimes impossible to follow even for longtime fans (the reason why I never fully went into Oswald’s “mystery” is because it’s too complicated to try and explain). However, the most basic improvement can be done to its companions. They’re not just companions. They can be three-dimensional characters separate from the Doctor. They can have their own arcs, their own conflicts, and their own conclusions and they don’t have to involve a time-traveling alien. Neither Moffat or Chibnall have shared details about what’s to come in Season 11, but Moffat announced Wednesday that he has officially handed over the reins, and that he has high hopes for his successor. Considering how good “Broadchurch” was, we might be in good shape.